Accepting CETA award with student, Marissa Wirick. I am thrilled and honored to join LCC as the Theatre Arts Director. I arrived at LCC in the fall of 2015 after years of theatrical study and professional work. I studied acting, writing, and directing at UCLA's Department of Theater, Film, & Television (BA, 2002). For many years afterward, I acted and wrote in Hollywood while supplementing that (daunting and exciting) profession as a babysitter ("manny"), tutor, and production assistant. However, it's in the teaching of theatre where I now find my greatest joy and sense of purpose. 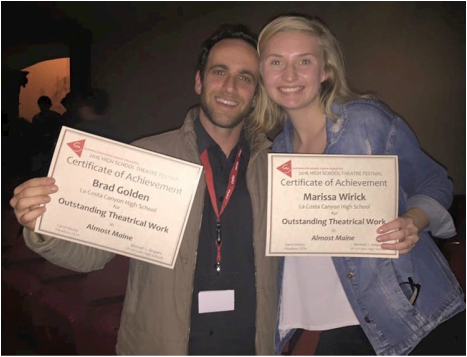 My role is to inspire students to believe in themselves and one another, to expand their creativity and love for theatre arts, and help the students to enjoy every moment of their high school experience. LCC provides an inclusive theatre program whereby students from all corners of campus can feel at home. 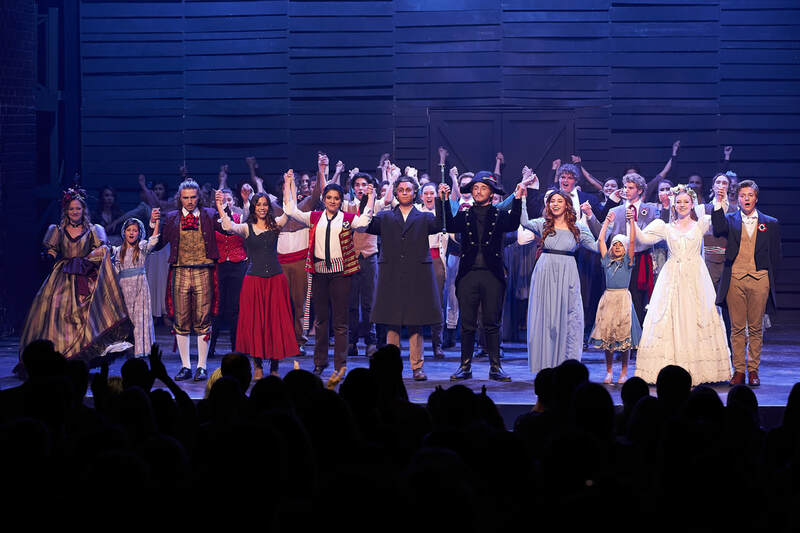 Students interested in acting, writing, directing, singing, producing, or costume, set, and lighting design will find an inspiring environment in LCC's theatre program. It's here where you can expand your creativity. Our theatre department also functions as a social haven for students who are seeking a supportive group of classmates. Our doors are open to everyone! Come join the fun and creative spirit happening within the theater.